Despite Cristiano Ronaldo’s brace against Parma, Juventus wasn’t able to get past a final 3-3 draw due to Gervinho’s last-minute equalizer. This busy football Saturday gifted us with another one of those beautiful coincidences between Messi and Ronaldo, the Juventus forward also scored a brace during his performance against Parma and he also wasn’t able to help his squad avoid a draw. 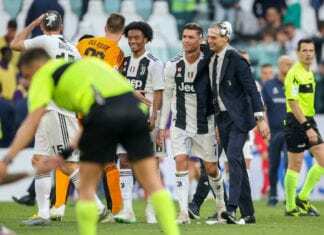 The Serie A leaders were coming out of a negative Copa Italia result after getting eliminated by Atalanta, Cristiano Ronaldo wasn’t able to find the back of the net on that match and he was eager to score more goals in the competition this Saturday. He scored the first one for Juventus with a stumbling shot that gave his side the initial advantage in the 36th minute of the match, the first half ended with everything going apparently well for the Vecchia Signora but things were going to get more difficult soon. The second half gave us another Ronaldo intervention, he wasn’t able to score a header and left the ball to Rugani for the squad’s second goal of the evening. But the Juventus defence appeared quite distressed soon after the second goal, Barilla appeared alone to connect a long pass with a header and pull one back for Parma in time to keep the match alive. Ronaldo still hadn’t made his final say on the matter either, he responded to Parma’s goal with another one of his trademark headers after Mario Mandzukic sent him a beautiful cross from the right flank. Juventus was already winning 3-1, but Gervinho still had to make his appearance. The Ivorian striker responded with a backheel finish after an assist from Kucka, this gave Parma hope that getting a good result at Juventus’ Stadium was actually plausible. 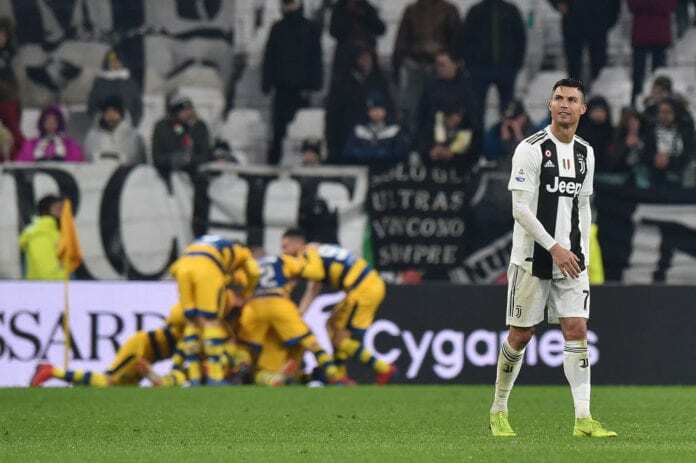 The final 20 minutes of the match were a complete nail-biter for any fan who watched this match live, Cristiano Ronaldo had several chances to finish Parma for good but either bad fortune or the opposition’s defence was on point this evening. Manager Massimiliano Allegri decided to not let Paulo Dybala play this match because the Argentine player is refusing to perform in a position that the manager demands from him, the player’s absence on the pitch cost Juventus the final result and this is Allegri’s fault completely. The match went all the way to the final moments with still no clear winner, Juventus simply wasn’t able to hold Parma’s incessant attempts and they finally gave in. It was in a final minute play that had all Parma players inside Juventus’ box, there was a series of rejected shots from the defence but they all missed the mark on Gervinho. The Ivorian striker did it again, he scored the match equalizer with a potent shot that the Juventus goalkeeper wasn’t able to save. With this result, the Vecchia Signora lost a couple of points from Napoli who are now only 8 units behind the leaders. Cristiano Ronaldo scored a brace as Messi did, the Portuguese forward is the Serie A’s top scorer with 17 goals just like Messi is of La Liga. 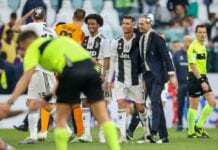 But neither of both players were able to prevent their squads from getting a result they didn’t expect on this Saturday, Ronaldo was frustrated after the match because he felt that he could’ve done more to help the team win those three points. One thing is for sure though, both Messi and Cristiano Ronaldo keep proving that despite being veterans of the game, they are still the two best players in world football right now. We are about to get an exciting second half of the season for Juventus and Ronaldo, results like this can’t prevent the inevitable as the Vecchia Signora marches forward to another Scudetto. Which of Ronaldo’s two goals did you like the most? Please share your opinion in the comment section down below.